In Hong Kong, over 3000 buildings are skyscrapers (the largest number in the world). With these tall buildings, you are sure of two things – the picturesque sceneries and difficulty in getting them from the ground. This is not all, and a bigger challenge awaits; infrastructure that works rather too hard. Most of the businesses located in the Skyscrapers use the fast internet to operate. Without this connectivity, they would grind to a halt compromising the competitive advantage. Top financial institutions, entertainment businesses, and digital production studios access, exchange, and manipulate vast amounts of data every day. Though cloud computing has become even more important today, a lot of work is done using Data Centers that feed info to corporate offices to enhance connectivity. Note that operation in the skyscrapers is not solely about the network, but also how these high rise buildings connections are managed (talk of fiber’s point of entry and access points in entire buildings). One way of solving all ensuing issues is the adoption of the 5G services that Hong Kong targets to roll in 2020. However, the next couple of years, until the 5G network is rolled, the problem of connectivity remains. The problem can be traced to the telecoms that provide the connectivity. To meet the needs of enterprises, some high-rise buildings’ owners have started acting like pseudo operators by bundling network with other services. This indicates the need for a more reliable and measurable network connection for all the buildings. 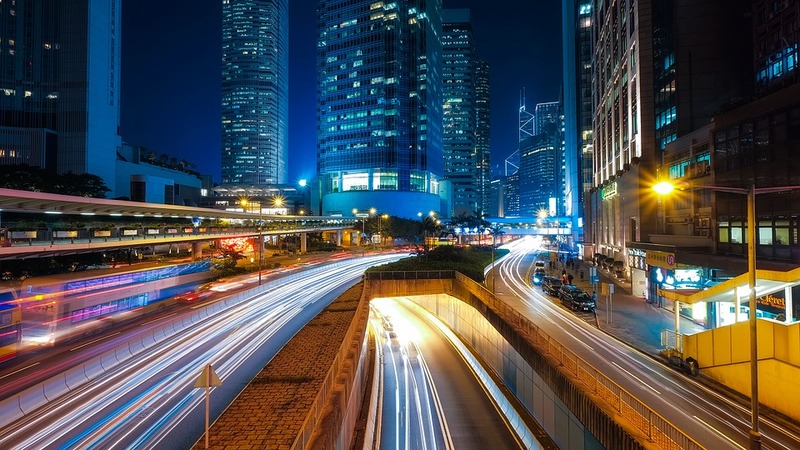 Ensuring tenants get the access to the connection they want: The network should be able to operate optimally especially in a financial hub such as Hong Kong where everything is data intensive and time sensitive. Here, delays are not acceptable at all. Therefore, it is important to get a scraper with multiple providers to stay away from bandwidth capacity constraints. Ensuring that network provision for every story and tenants can be managed appropriately. This means that all provisions perfectly match the charges. This is a common problem where the internet is accessed by many people simultaneously. For example, when many people access Wi-Fi simultaneously, connectivity starts degrading. The same case is evident in Hong Kong when many clients (especially heavy internet users) access fast broadband. What seems minor when network downgrades at home translate to monumental problems when it comes to businesses. Figure out some top businesses with very high internet requirements that make them eat all the bandwidth allocated to them. This translates into anguish for the neighbors on the same network. With SLAs, every client gets allocated the right share so that personal use does not compromise other users. This has to come with an appropriate policing/monitoring strategy. Violation of SLAs should come with stiff penalties. While managing connection, access, and even billing is a problem for clients in one building, it becomes more complex dealing with several buildings. To address this problem, it is prudent for Hong Kong to optimize the allocation of the right bandwidth to keep up with other cities such as Shanghai and Singapore. Even as Hong Kong keeps leveraging its position as a financial center, the growing needs are no doubt evolving challenges. However, Hong Kong has withered many storms, and its creativity and supportive administrations will address even this one. If you are planning to enter Hong Kong or make your business more aggressive, do not hesitate to contact us for assistance. We will ensure you get the better accessibility, connectivity, legal applications, and marketing.